Shazam, the music-tagging app that tells you what you're listening to so you don't have to Google the lyrics, has surpassed 300 million users worldwide, the company announced today. That's no small feat - according to a report from Strategy Analytics, there are a little more than 1 billion smartphone users as of October 2012. Any app used by almost a third of smartphone users can probably be considered a success. To celebrate, Shazam announced plans to release redesigned apps for iPads and Android tablets "in the coming weeks." 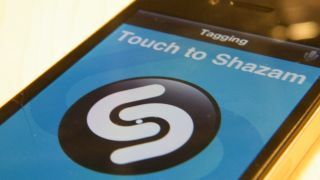 We still use Shazam mainly to find out the names of whatever annoying new songs are playing on the radio and in bars, but the company announced that the new Shazam tablet apps will make social and mapping features more prominent. Users of the new Shazam apps will be able to view activity streams to find out what songs and TV shows are being tagged most often and see what people are tagging in any city in the world. Shazam CEO Andrew Fisher called it "the most efficient way to experience more of the media around you" in a press release. The app will include a newly redesigned home screen that emphasizes social features, an interactive map that shows tags around the world, improved friend features, faster tagging, automatic re-submission if your initial tag attempts fail due to poor reception, and better integration with other social networks for easier sharing via Twitter, Facebook, Google+ and Gmail. Shazam also announced that users of the free version of the app will get some nice bonuses soon as well: faster tagging and lyrics display for tagged songs. The press release also mentioned that the iOS Shazam app is universal, so it seems as if the incoming iPad update will work on iPhones and iPods as well. TechRadar reached out to Shazam to find out whether the same applies to Android devices, and a spokesperson responded that the update is "just for the tablet app" before clarifying that it will also work across iPhone, iPod Touch (2nd gen and up) and iPad devices.